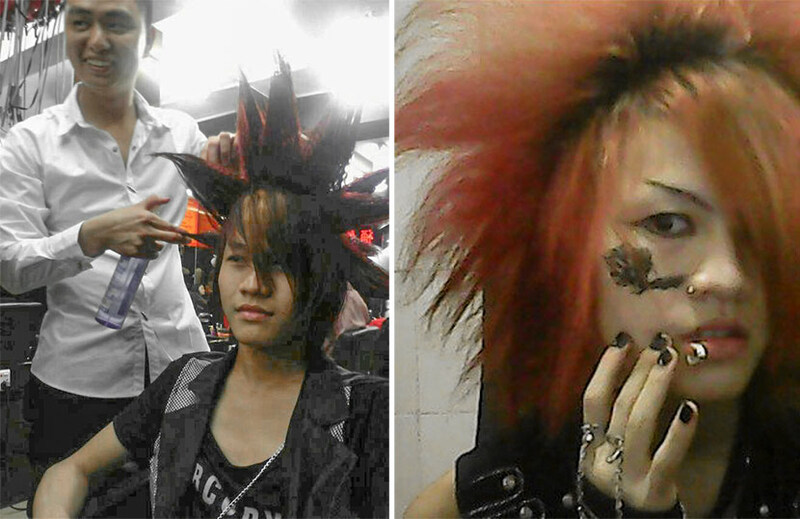 He’s cut off his head-turning locks, but Luo Fuxing will never give up his devotion to the much-derided youth movement. GUANGDONG, South China — Luo Fuxing works as a hairdresser in a rundown shop somewhere in a forgotten corner of suburban Dongguan. But a decade and a few haircuts ago, he was the teenage patriarch of a flourishing subculture, inspiring love and animosity with his striking sense of style. 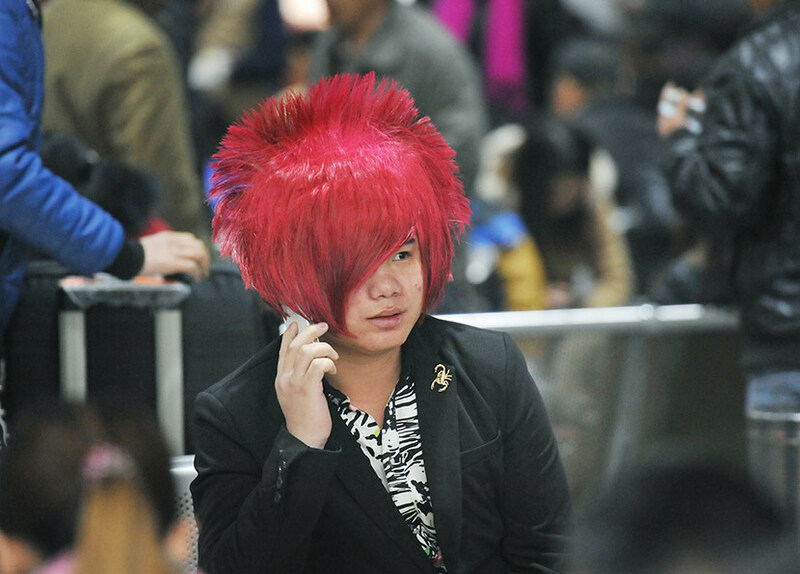 Until recently, you didn’t need to walk far in a Chinese city to see youth with cartoonish, bright-colored haircuts. These teenagers, often rural migrants, called themselves shamate. There were people scolding me every single day — the more people, the more excited I felt. 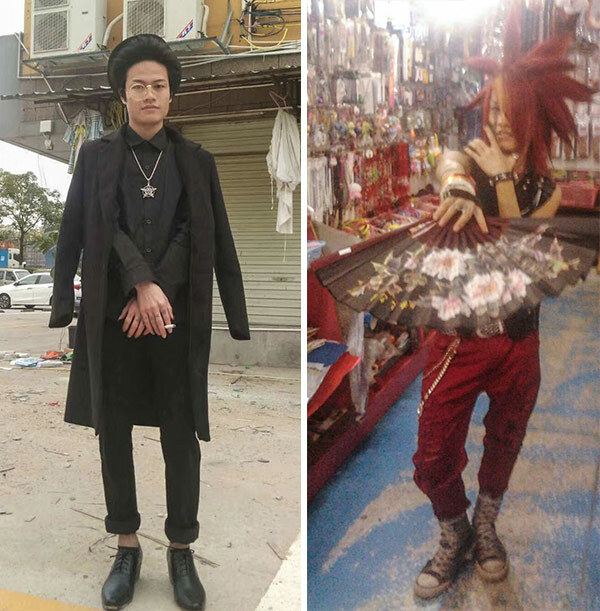 Luo — who was 11 at the time and lived in his home village near Meizhou city — wanted to find a cool word to describe his new look. As he tells it, he’d seen the word “smart” in an English dictionary and wanted to create a Chinese equivalent. He then haphazardly chose some Chinese characters that, together, made no sense but sounded similar enough to the English: Shamate. As Luo continued to share photos captioned shamate, he quickly gained followers, who he then invited into group chats that he named “shamate family.” Like Luo, most were teenagers who came from the countryside. Many only had a middle school diploma at best and had migrated to cities at a young age to work. It was exciting, Luo recalls, to be the head of a self-styled family that eventually included 200,000 members. He told his fellow shamate to aggressively share their selfies on all kinds of social media and online forums. Their exaggerated hairstyles, heavy makeup, and narcissistic poses were often derided as ugly and weird, but that only increased their sense of community. “There were people scolding me every single day — the more people, the more excited I felt,” Luo says. Twelve years later, shamate youth have largely disappeared: They stopped dyeing their hair, changed their wardrobes, and simply aged out of their teenage rebelliousness. 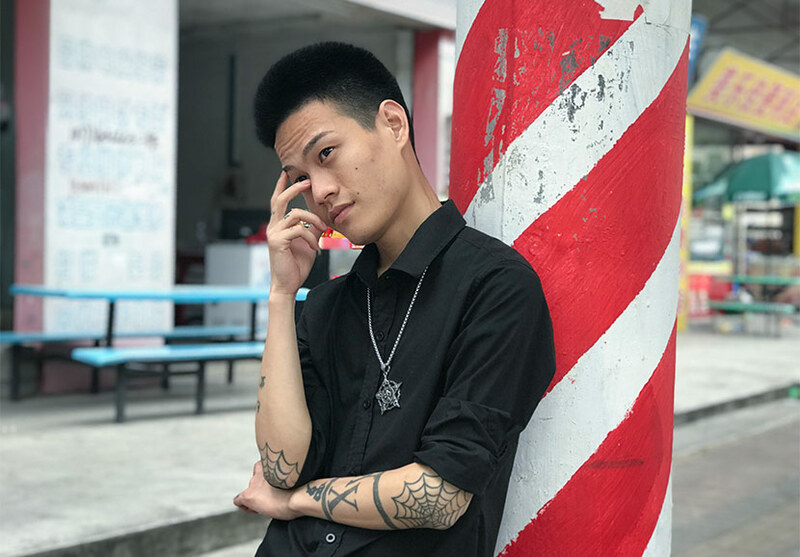 Luo, now 23, has cut his hair, but he’s still kept his black, metal outfits — he likes them so much that he has three identical sets of black jeans and shirts. Last winter, after years as a migrant worker, Luo got the idea to open up his own barbershop. But business was bad, and so he had no choice but to close it in March. 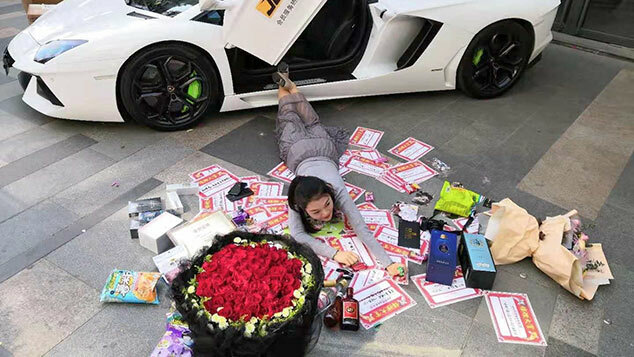 He moved to Dongguan and now earns around 3,000 yuan ($460) a month. Luo talked to Sixth Tone about becoming a migrant worker at such a young age, his dislike of the urban middle class, and how his big dreams have become smaller and smaller. The interview has been edited for brevity and clarity. Sixth Tone: What first gave you the idea to get a shamate hairstyle? Did you think it would attract much attention? Luo Fuxing: By sheer chance, I found a photo of a [Japanese] music star, Miyavi. I hadn’t heard his name before or listened to his songs. I also had no idea what rock, punk, or gothic genres were like. But I found his style appealing, and I wanted to be as cool as he was. 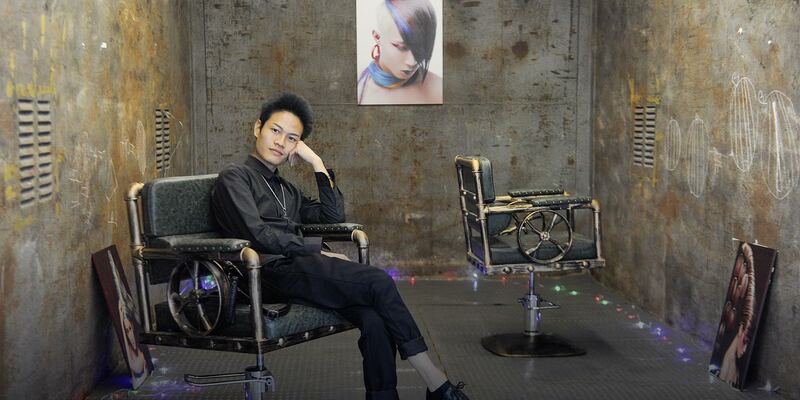 I downloaded his picture and went to our village’s only hair salon, telling them I wanted this style. When it was finished, I felt that it was so unique and belonged only to me. After that, whenever I had the time, I’d stay at home alone, give myself a new hairstyle, and pair it with makeup and accessories. You could buy a whole set of cosmetics at a kiosk back then for 100 yuan. My favorite style was a side fringe covering one of my eyes; it’s so cool. I would upload my photos online, along with Miyavi’s. 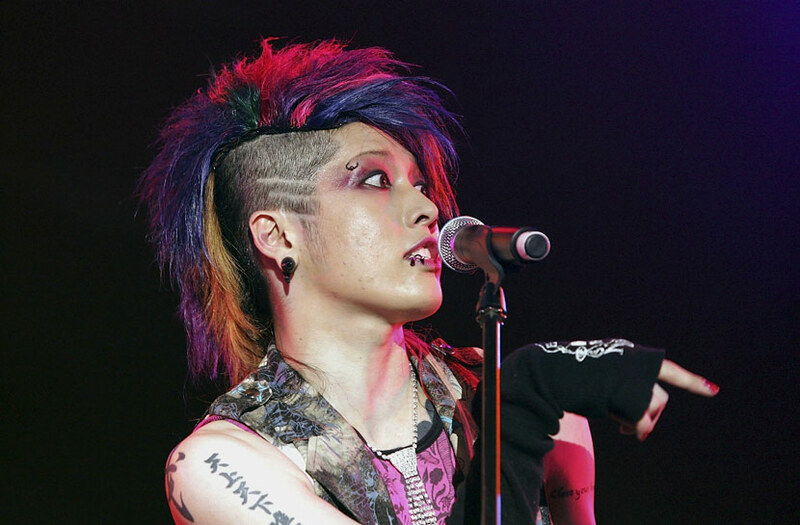 I lied to my classmates and my online friends, telling them that Miyavi was also a shamate. Nobody in my village had heard much about foreign stars, so they didn’t know Miyavi and didn’t doubt me. Sixth Tone: How did your parents react to your exaggerated hairstyles? 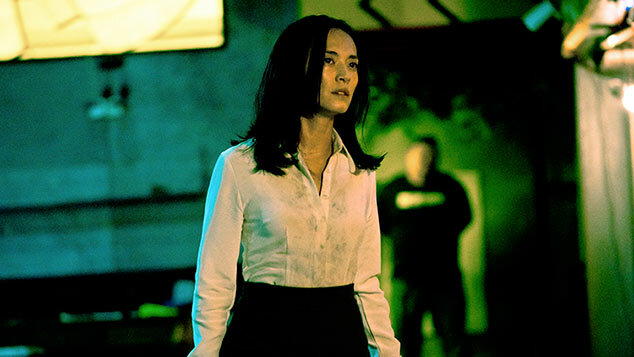 Luo Fuxing: To be honest, one of the reasons why I thought shamate was interesting was because everyone would pay attention to me. It was like my father finally noticed my existence. I often had to move around during my childhood and was left behind by my parents [who went to the city for better jobs.] They were always busy working, and didn’t have a good relationship. When I was six, I was sent to live with my grandparents. My grandfather used to be a primary school teacher, and so was highly respected in his village. Benefitting from his reputation, I became a bit of a hoodlum and bullied weaker students. I often skipped classes and went to internet cafés every day with my dumb friends. I was addicted to a violent video game at the time. It was exciting to kill people and be killed: I loved the feeling of looking down on others from the top of the pyramid in the virtual world. Shamate gave me that feeling again. In the group chat, I was the one who made the rules, and others followed my lead. Sixth Tone: Did the shamate fame ever help you in real life? Luo Fuxing: Shamate gave me the illusion of being famous — so much so that I felt I couldn’t live without it. No matter if people praised or abused me, it really made me feel like people were paying attention. But that could be dangerous. Some people suggested that I could earn more money by live-streaming. 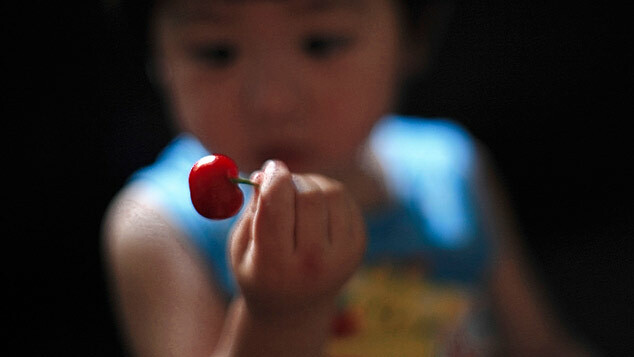 Considering my fame, I knew that I could, but it’s so meaningless and would make me lazy. And once the popularity of live-streaming eventually decreases, I’d still have to work as a hairdresser again. Some producers, artists, and scholars have come looking for me because they are interested in the psychology of groups. They want to study me and record my life. A reality show produced by Zhejiang TV once invited me on to show audiences what it’s like to be hardworking. They wanted to film me for half a year. But they couldn’t follow me around every day, so they’d just pick a date and film a lot of scenes in one go. I had to change clothes a lot on those days. Afterward I just quit. Sixth Tone: Is shamate the reason you became a hairdresser? Luo Fuxing: Kind of. I dropped out of school when I was in seventh grade and went to see my father — who was working in Shenzhen — to look for a job. I worked at hardware factories at first, but they had strict dress codes: I had to tie my hair up during work. And I had very little leisure time on weekends to create my own hairstyles. I got spider tattoos on my elbows after I saw [in a movie] that prisoners in America have spider webs that are made bigger the longer they are in jail. I thought that the factory was pretty similar to a prison. [People] never stop to think that there must be a reason for this subculture to exist. I became a migrant worker at a very young age, so I could only use another person’s identity card to work. I was once told about a factory in Huizhou, another city in Guangdong. But it turned out that the salary that they promised me was a lie. My phone was also stolen by a stranger who told me that he just wanted to borrow it to make a call. I even bought him ice cream. They all look decent, wearing suits and leather shoes. But they are cheaters. Then I decided to become a hairdresser. The work schedule was more flexible, so I had more time to focus on my shamate styling. Also, I could use all of the hair salon’s tools to adjust my hairstyle. But the boss still asked that I didn’t over-exaggerate my hairstyle. He was afraid that my appearance would scare away our customers. They were factory workers or older residents: They just had ordinary, boring hairstyles. Sixth Tone: You’ve had short hair for years. Would you like to get your shamate style back again? Luo Fuxing: At least for now, I don’t want to dye my hair again. Maybe I’ve matured. Some media outlets have run stories like “the prodigal son returns,” or “the boy who mended his ways.” But I don’t feel like I did anything wrong or evil in the past. People who mock shamate are probably middle class. By cursing me, they want to show off that they have cars and apartments. People want to vent their anger, and shamate get caught in the crossfire. These people discriminate against the underclass, but they never stop to think that there must be a reason for this subculture to exist: Moving from the village to the city and starting to work at that young an age, I felt isolated. I was weak, but under the guise of shamate I felt strong. I don’t like the middle class, but I hope that one day I can buy a car and a house for my mother. My father died of cancer. He passed away in our home while the roof was leaking. I hope my mother can die in a better place. When I was young I had all kinds of unrealistic dreams, but they shrank as I grew up. I wanted to be Ultraman or the president when I was young; that changed to wanting to open my own hair salon, and now to just wanting to do my job well. I’ll always be a shamate: I would never tear off that label; it’s not shameful. Freedom from the judgement of one’s appearance is the basis of all freedom.